According to the CDC, 1 in 13 people suffer from asthma. That’s roughly 8.3% of adults and children difficulty breathing. Why do people have asthma? Where does it comes from and what triggers it? How can we get rid of it and not have to worry about hauling an inhaler everywhere we go? Why do we have asthma attacks? Asthma arises because the body is in a inflammatory state where it reacts to its environment and reacts with bronchoconstriction (airway tightening, chest tightness where you cant breath, and increased mucous in the throat. This pathway is what is called a Type 2 pathway which causes the inflammatory process in your body. Through this process, your body is responsible for cleaning up and repairing any harm that has come to your body. Which is why it swells when you get injured. The Type 1 pathway is the non inflammatory pathway in the body. Both are equally important in the body, but people with asthma have more of a Type 2 pathway active in the body. Since asthma stems from the body being in an inflammatory state, it will have many triggers to set it off. These may include smoke, ragweed, or anything else found in the environment. In order to rid the body of these autoimmune attacks, we must get the body out of an inflammatory state. This can be done through eating anti inflammatory foods such as foods with high amounts of turmeric in them, as well as through chiropractic care to help the body adapt and change states. 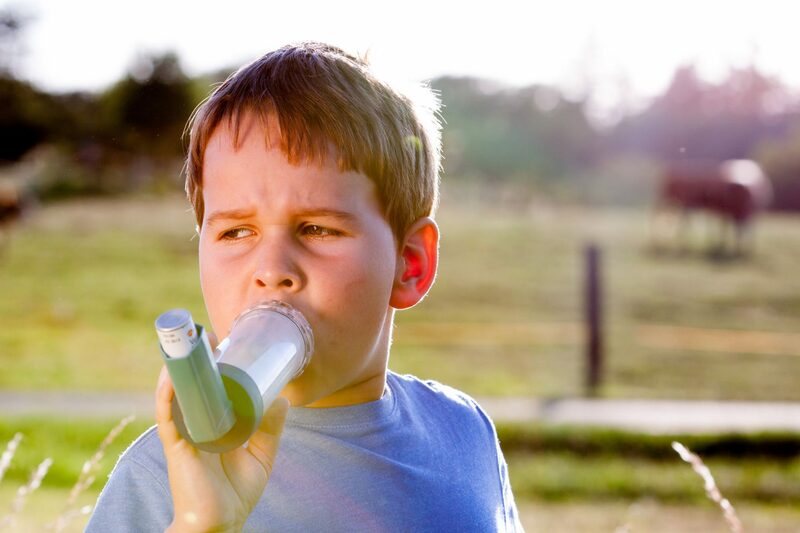 Chiropractic care through removing vertebral subluxations will help resolve asthma. It will take time and repetition for this to occur but in many cases it has helped reduce asthmatic attacks in both adults and children. The adjustments will help the body produce more type 1 pathways which are the non inflammatory state in the body through removing the interference to the thymus which is responsible for maturity of the cells in the body responsible for protecting the body. Allowing these cells to mature correctly is the key so the body does not attack itself and cause a systemic inflammatory state. If you know anyone who has asthma or have it yourself, please allow us to help you by getting checked out to see what we can do to help. Click on the link below to get 80% OFF your first assessment! Click here for 80% off your first assessment!